Already introduced and reintroduced several times, because the Chanel Small Clutch with Chain is designed in different versions. We’ve spotted this bag in diamond quilting, in boy diamond quilting and as well as in chevron quilting. 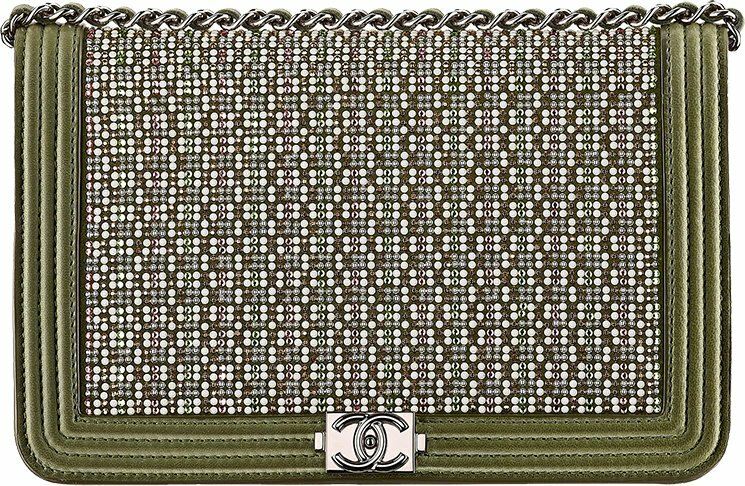 Now the luxury fashion house re-releases the Boy Chanel Small Clutch with Chain in Strass. You won’t see this often, strass is really rare. And this bag is all thanks to the Cruise 2017 Collection, which is a line inspired by the Cuba culture mixed with France. Basically the Boy Chanel Strass Small Clutch with Chain is a mini evening bag, just like the WOC but not as roomy. This bag is adorned with the boy logo in the top center while the bottom is refined in multicolor strass. Crafted from suede calfskin and lambskin, the top features two separate compartments and both can be accessed with a top zipper. The bag comes with long woven chain strap for shoulder carry as well as cross body. This is just an affordable distinctive bag, grab it for Christmas. Style code A84069, measuring 3.9’ x 7.5’ x 1.6’ inches, priced at $2100 USD, €1990 euro, £1780 GBP, $15600 HKD, $2910 AUD, ¥243000 JPY, available via Chanel boutiques. L.O.V.E. I.T., the Boy Chanel Strass Wallet On Chain Bag just stole my heart. Especially the ‘strass’ on the WOC is a clever design as well as a new style. The ‘Boy Bag Collection’ doesn’t need any introduction. You can recognize the ‘Boy’ by the iconic ‘Boy Clasp’ and by the beautiful ‘Boy Chain’. 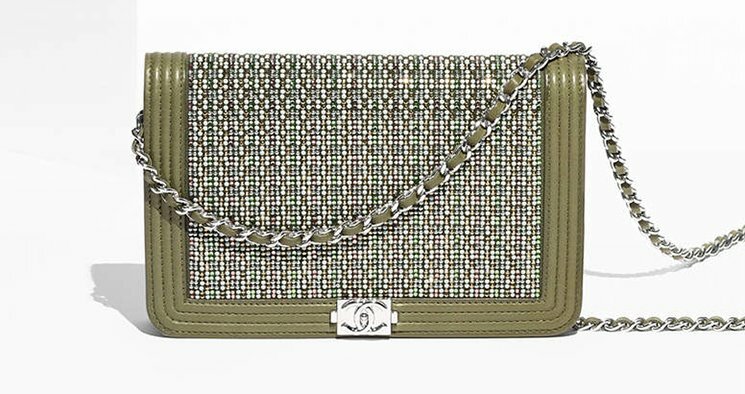 For the Cruise 2017 Collection, Chanel crafted the Boy Strass WOC with suede calfskin. Instead of quilting, the center is embellished with strass in different styles, colors and shines. If you want to distinguish your fashion taste, purchase a bag that nobody have. Once the collection is over, this boy will disappear. And then the value will only go up, and the longer you wait, the less this style exist. So when to carry this bag? The WOC’s are always the perfect evening accessories, but they can also accompany you in events like birthday party’s or weddings. Now for the details, style code: A80287, measuring 4.8’ x 7.6’ x 1.4’ inches, priced at $2600 USD, €2400 euro, £2250 GBP, $3680 AUD, $19700 HKD, ¥360720 JPY via Chanel boutiques.